Winter in Pennsylvania was a tough one this year between the snow, wind, and polar freezes but I survived and miraculously my skin did too! Normally I deal with itchy red skin and it flares up so bad from time to time that I have to continuously rub lotion on it. But I was able to save my poor skin right at the end of the season because of Curel. Curel Skincare developed some ultra hydrating formulas to help soothe cracked and irritated skin. They developed them with a unique ceramide complex to help strengthen your skins barrier to protect it from future irritation all while providing immediate relief for your current skin issue. 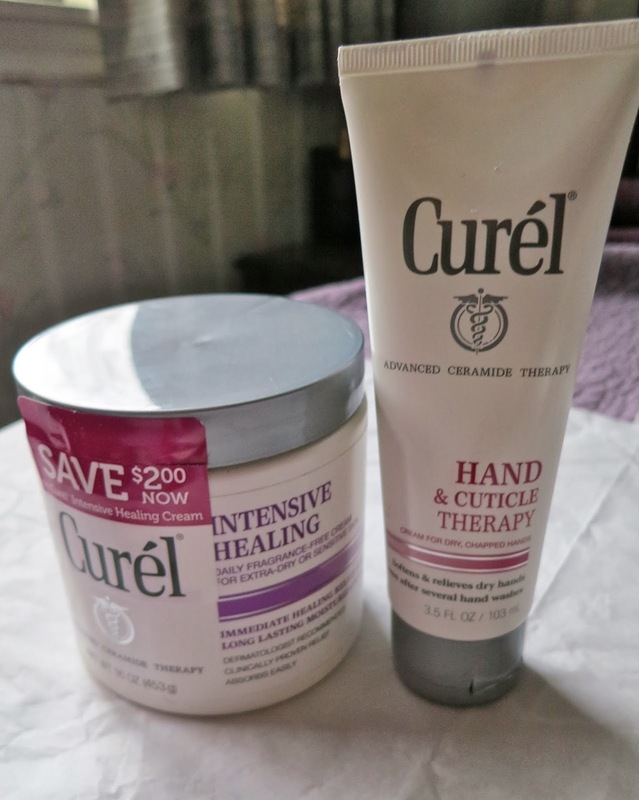 I loved the scent left behind from Curel Hand & Cuticle Therapy Cream. It's no wonder our hands get dry from all the washing to keep germs at bay. I was pleased to see that after a couple of days my skin and cuticles were soft, healthy, and vibrant. I loved the non greasy formula. This cream contains soy milk, monoi oil, and vitamin E.
Curel Intensive Healing Cream was developed to heal even the driest of skin and it most certainly worked wonders on my dry irritated legs. It soaked in right away and left a long standing relief behind. I highly recommend both of these products not just to save your skin after winter weather but to use all year round!